Rotherham manufacturing firm AESSEAL has earned top scores in the UK's largest independent customer satisfaction survey – beating giants including Amazon, John Lewis, Apple and IKEA. AESSEAL scored 87.5 out of 100, compared with a UK average of 77.9 and beating Amazon, who achieved the highest score of the published UKCSI listed organisations. The The UK Customer Satisfaction Index (UKCSI) is considered the national measure of customer satisfaction. It gives insight into the quality of customer service in 13 sectors of the economy, as well as the UK as a whole, and reveals how companies measure up against each other. AESSEAL scored significantly above average in all the categories its customers were questioned on, including product quality, reliability and cost, the helpfulness and competence of staff and notably customer effort (how easy it is to do business with AESSEAL). 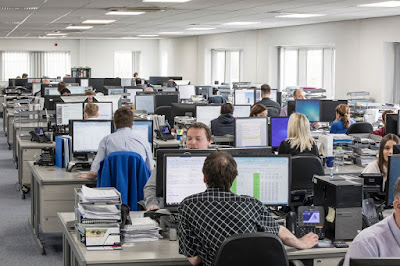 Chloe Davies, European customer service manager at AESSEAL, said: "As a company we've always had a very strong focus on customer service and have won numerous awards in recognition of this. "We chose to be assessed against the Retail (non-food) Sector of the UKCSI - the toughest classification which really sets the bar for customer satisfaction and innovation in customer service. "Obviously we're thrilled to have scored higher than companies of the scale and reputation of Amazon and John Lewis, but at the end of the day the most important thing is that our customers are very happy with our products, staff and services." She added that AESSEAL will not be sitting back on its laurels. "We'll be examining the full report in great detail to look at any areas where we might improve our customer service even further."